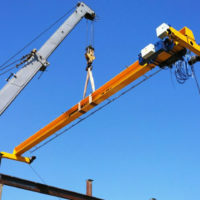 The purpose of the crane is to maintain metalworking machines and perform repair work when installing and dismantling components of ship electric motors and generators. 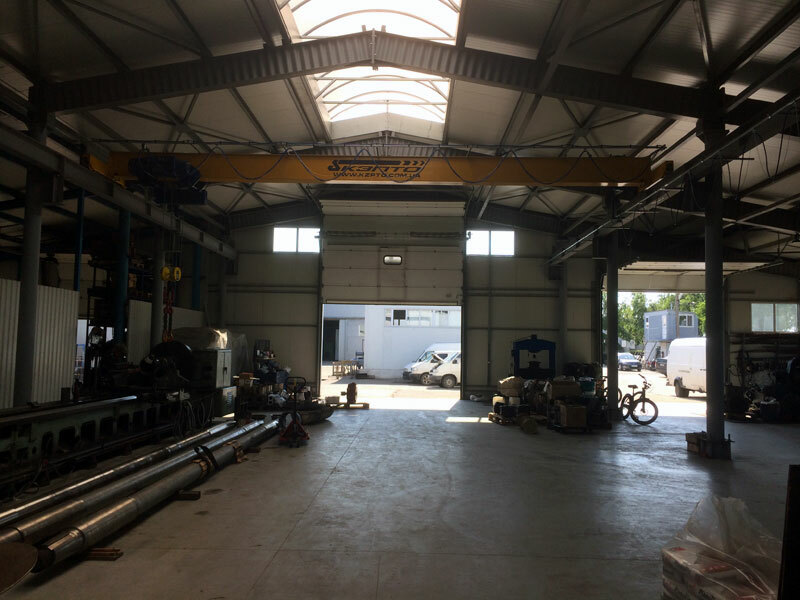 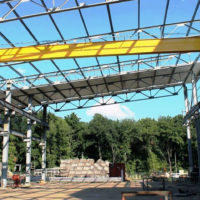 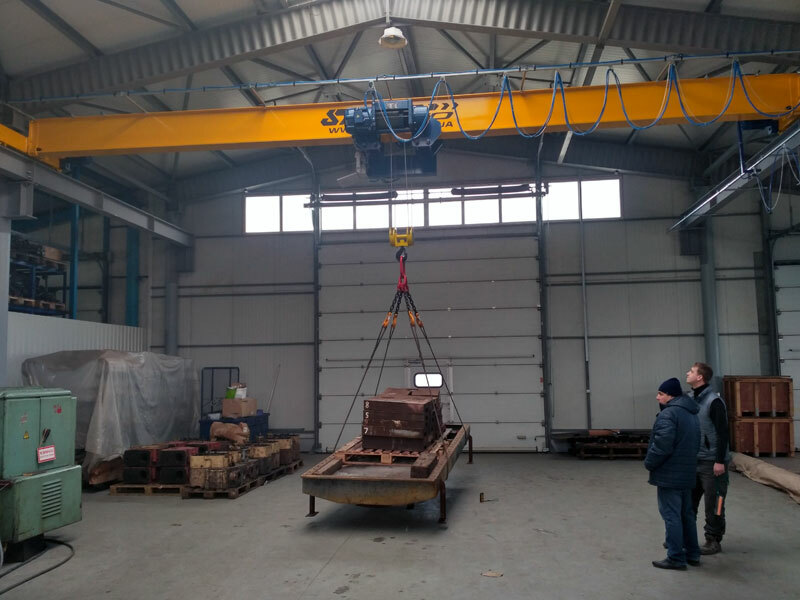 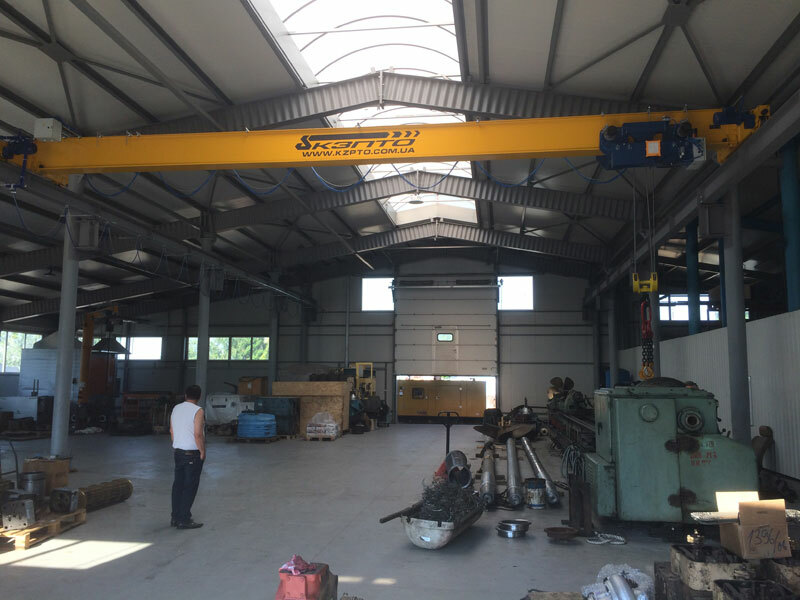 During the negotiations, the customer was tasked to enter into the existing workshop a overhead bridge crane with a load capacity of 5.0 tons. 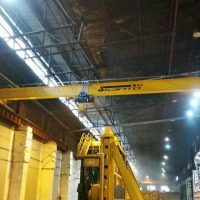 To accomplish this task, a design solution was prepared for the crane track with the calculation of the carrying capacity of existing columns. 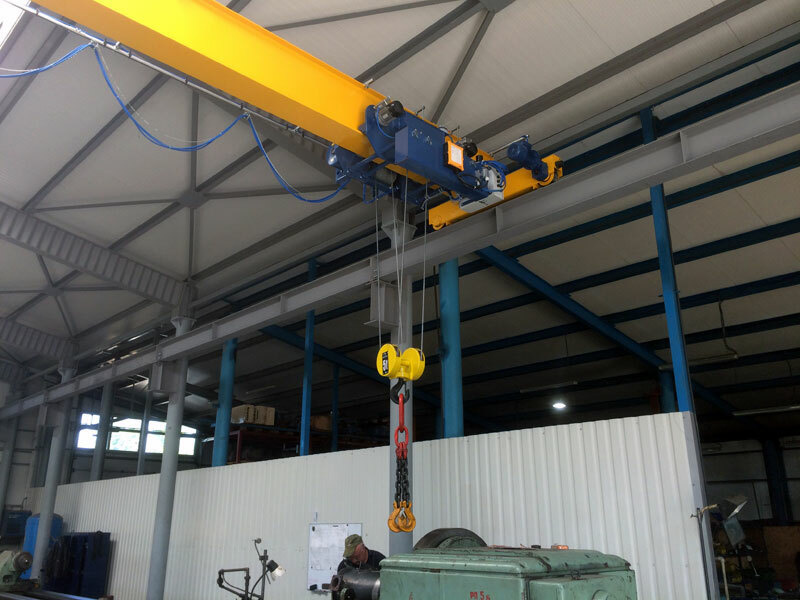 After the project was completed on the crane runway, the customer performed the preparatory work for the installation of high chairs and crane girders with a square. 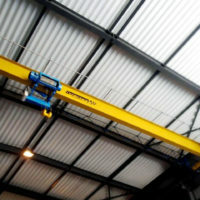 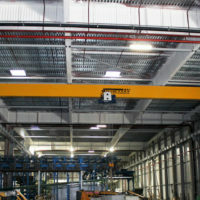 To maximize the use of existing space, a crane-beam with a reduced height of the hoist was designed. 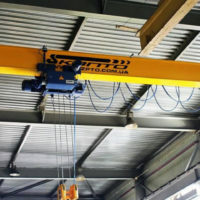 This hoist allows you to raise the hook as close as possible to the crane beam. 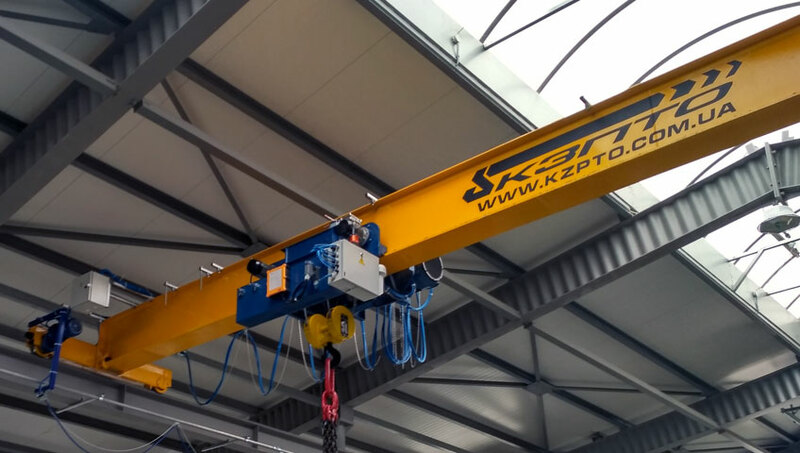 The crane is equipped with an electric cable hoist with reduced construction height and end beams produced by Podem, Bulgaria. 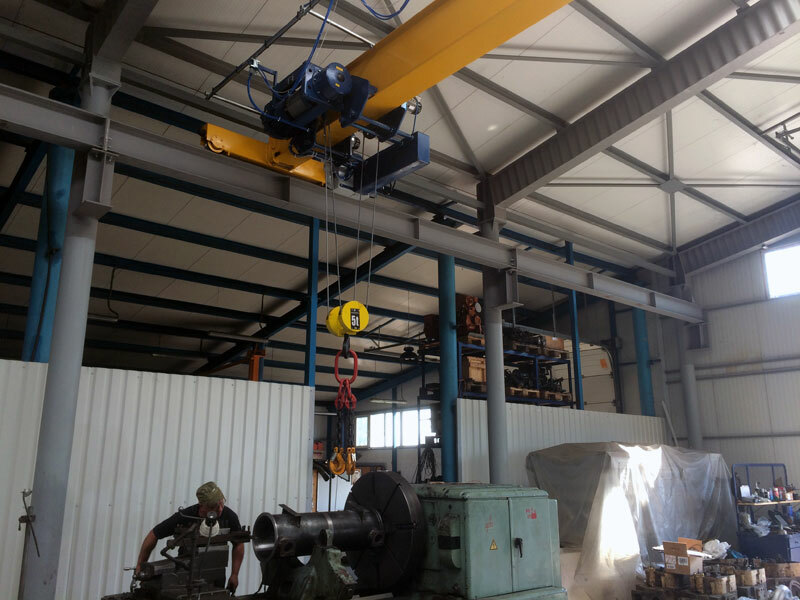 safety devices: load-limiting device, two-position switches for hook lifting and lowering mechanisms, hoist and crane movements, thermal protection of electric motors, phase control relay, sound and light signaling of the crane operation.